Will a Marijuana Dispensary Win Naming Rights for Mile High Stadium? One of the state’s largest dispensaries, Native Roots Colorado may rename the home stadium of the Broncos. The cannabis industry is on a role and it’s not stopping for any body, or any thing for that matter. One large dispensary, Native Roots Colorado, may potentially rename the home stadium of the NFL Denver Broncos after its own company. Since marijuana is involved, however, it won’t be an easy decision to make. Still, the owners of the Native Roots dispensaries are holding their heads up high by showing Coloradans that if the time comes, they will be financially prepared to take on this task. This past March, Sports Authority, which has been partnered up with the Denver Broncos and owns the rights to the stadium’s name, declared that it was filing for bankruptcy. With this in mind, the store would no longer be able to afford the rights to the Mile High Stadium and the chance to rename the stadium may now be at the disposal of potential buyers. One of those potential buyers is Native Roots, one of Colorado’s largest dispensaries with 14 medical and recreational locations all across the state. If Sports Authority can’t afford to continue its contract, Native Roots is prepared to make an offer to the stadium. The company announced on April 1st, April Fools Day, that it has “begun the process of acquiring the naming rights” but that “this is not an April Fool’s joke,” said Rhett Jordan, one of the founders of Native Roots. A possible logo for the stadium has been released by the company as well, and surprisingly enough, it’s not a pot leaf. Instead, the logo is just your average tree with roots. That’s cool too, I guess. But before you get too excited and spark up that celebratory jay, it’s important to know that not all people feel this way about a renaming the Bronco’s home stadium. Making this agreement won’t break the bank for Jordan and his co-owners, the only problem is that it could create controversy in regards to smoking in public. 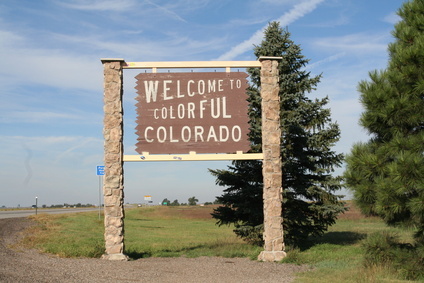 Another issue that’s been brought up is in regards to the state of Colorado and its restriction on outdoor advertising on marijuana dispensaries. Not to mention, there is still talk about whether or not Sports Authority can make a comeback. Since the company declared bankruptcy, questions about whether it would be able to make its next $6 million payment in August are now being raised. In other words, they are confident that the naming rights to the stadium will continue to remain in the hands of Sports Authority. We don’t know what the future may bring, but as long as there’s hope for Sports Authority to stay in business, there’s just as much hope for Native Roots to take the name. If all goes as expected, this could be a major breakthrough for the cannabis industry. The industry is reaching new heights more and more each day and I’m not just talking about the grow room. Do you think Native Roots Colorado should rename the Broncos stadium? Let us know on social media or in the comments below.